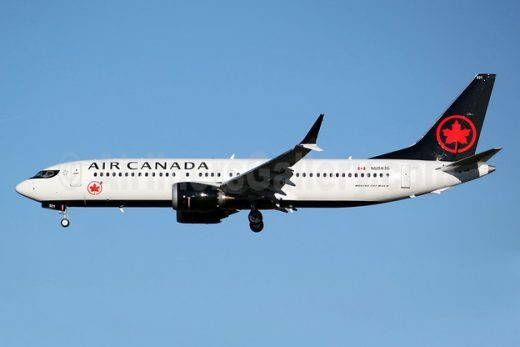 Air Canada was showing off its new Boeing 737 MAX this week, running scheduled and test flights across the country and inviting planespotters to get out to see the new aircraft. The first MAX entered revenue service with a flight from Toronto to Calgary on Monday and is now integrated into the schedule flying between the sub hubs of Vancouver, Calgary and Montreal. The aircraft has 169 passenger seats and borrows features from the 787 Dreamliner with the Sky Interior, enhanced cabin environment and new entertainment system. The bigger overhead bins ensure everyone can carry on a bag. Air Canada is buying at least 61 MAX aircraft and they will fly some international routes to lower volume destinations like Keflavik, Dublin and Shannon. Fast Wi-Fi is coming early in 2018. The big selling point for the airline is the 20 percent reduction in fuel costs and airport neighbours will like the 40 percent noise reduction.